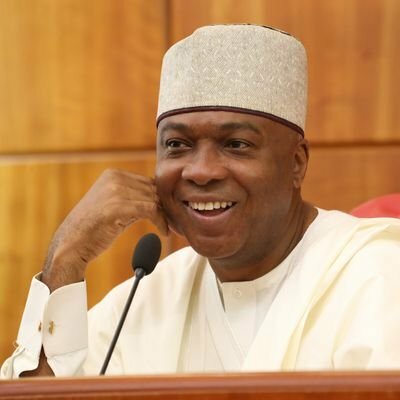 President of the Senate, Dr. Abubakar Bukola Saraki, on Thursday commended the judgment of an Ilorin High Court that ruled that the publisher of the online news platform, Sahara Reporters, Mr Omoyele Sowore, should pay him the sum of N4 billion ($11.1 Million) as damages over a series of libelous stories published against the senator by the medium in 2015. Saraki, in a statement signed by his Special Adviser on Media and Publicity, Yusuph Olaniyonu, stated that the judgement issued against Sahara Reporters for constantly publishing false, libellous and misleading stories that were aimed at defaming his person, was a testament that the moral arc of the universe will always bend towards justice. “One thing is clear by the judgement, there are systems in place in our nation for all citizens to seek redress if they have been unfairly treated in any way,” the statement read, “This judgement is a fulfillment of our promise that we will explore all legal means to seek redress for all the fabrications and mudslinging that Sahara Reporters has thrown at us over the years. “This judgement demonstrates that our justice system can and will continue to protect the fundamental human rights of all citizens from being infringed by anyone. Moving forward, the purveyors of mischievous stories can learn from this precedent that has been set. The ruling by Justice Adeyinka Oyinloye will serve as a deterrent to all those who profit by propagating ‘Fake News’ to blackmail innocent citizens or curry undue favours. “This judgement is definitely not a victory for the Senate President alone. It is a victory for all the victims of the falsehood which Sahara Reporters daily dole out to rubbish the reputation of innocent Nigerians, many of whom either out of fear, lack of the patience to consistently pursue a court case for years or lack of belief in the ability of the system to give them justice decided to live with the injury to their reputation. “The judgement is another vindication for our country and her solid enthronement of the rule of law as against the rule of men. “Dr Saraki believes this judgement would provide inspiration and encouragement for all those whose reputations have been unduly and unnecessarily injured by SaharaReporters and its ilk who are purveyors of false news to seek redress through the courts. “He sees the verdict of the High Court against Sahara Reporters as a positive development with the potential to reassure individuals and firms who would in future come under undeserved attack by publications which spread falsehood aimed at maliciously casting them in a bad light. “The judgement provides a redeeming point for the noble profession of journalism which has as its sacred, cardinal principle the pursuit of facts at all times and in all situations. “The journalists and news media who have devoted themselves to the pursuit of truth but appear to be overwhelmed by those who trade in falsehood and sensationalism now have a reason to be proud that they are on the right path. That is another meaning Dr Saraki gives to this judgement. “However, the Senate President will like to assure all and sundry that he will not spare any legal efforts and expenses, both in Nigeria and abroad, necessary to recover every kobo of the cost awarded in his favour from the defendant. “The restitution from this judgement will be channelled to set up a Foundation whose aim will be to support pure and unadulterated investigative journalism and assist the families of real journalists that die in the line of duty. “The money will also be used to support genuine publications whose owners are struggling to pay salaries of workers or meet their ever-rising running cost. Part of the money will also be channelled to help lawyers who have been providing pro bono services to litigants, particularly, on cases bothering on enforcement of fundamental human rights. “It should be noted that the methodical and dogged manner in which Dr Saraki pursued the case despite the ceaseless barrage of false allegations thrown at him by the Sahara Reporters should assure all Nigerians that he maintains a solid belief in free press, free speech and responsible journalism and that he will do everything legal to fight those who want to use journalism as a destructive, blackmail and oppressive instrument . This latter brand of journalism will not help our society and has no role to play in the emerging Nigeria”, he stated.